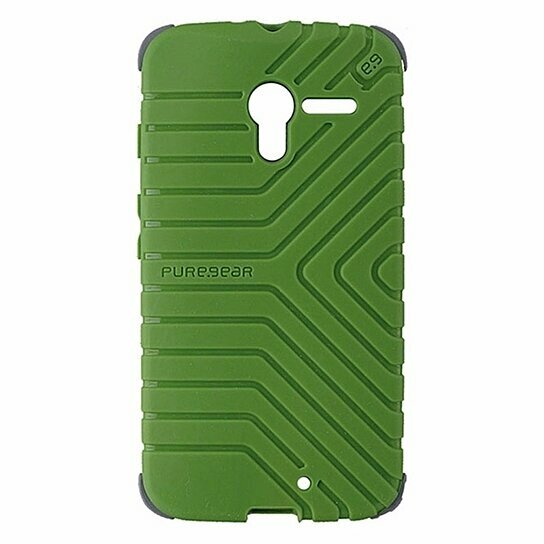 Pure-Gear brand GripTek Series Gel Case for Motorola Moto X. All Green finish with Gray Bumpers. Form fitting case with shock absorbing corners.